Vehicle tracking is not just about pinpointing your vehicles on a map — it can also provide insight on your mobile workforce and highlight where improvements could be made to save you money. HVACR contractors are adopting vehicle tracking solutions because it does not only offer convenience and cost savings, but it also helps improve customer service and employee recognition. An independent report by Frost & Sullivan indicates that vehicle tracking data can be used to reduce fuel consumption by up to 25 percent, decrease idling by up to 30 percentand reduce employee overtime by up to 15 percent. With online timesheets and data on shift time, driving time, time at a work site, mileage, and fuel usage, office managers can process pay, overtime, and fuel claims faster and more accurately than ever before. Figure 1 highlights key data accessible with some vehicle-tracking solutions available today. 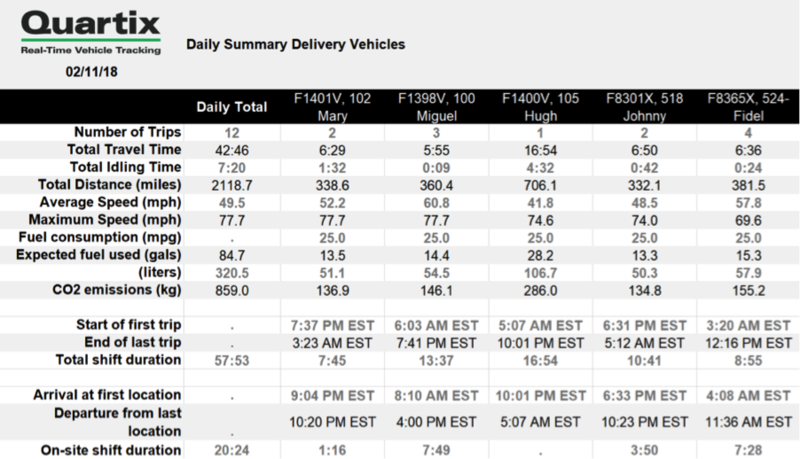 Figure 1: Data from vehicle-tracking solutions can provide actionable insight on vehicle movements, engine usage, driver behavior, and fuel consumption. improve quoting, optimize staff allocation, and decide whether to accept or refer service requests based on available resources and potential profit. Managers can also reduce false overtime and fuel claims, while at the same time reassuring employees that they will receive the mileage and overtime due to them without having to fight for it. Some solutions also offer tools for digging down into the details of a vehicle’s routes travelled and driving metrics (speed, acceleration, braking, and idling) — key factors influencing both safety and costs. Using vehicle data, driving can be scored and safety and reward programs can be established to incentivize better driving. With improved driving, not only are employees safer, but insurance costs can be reduced due to fewer traffic violations and accident repairs. Despite its benefits, adopting vehicle-tracking technology may still seem daunting to an overworked business owner or manager. Luckily, solutions are available that are both easy-to-use and reasonably priced. One provider — Quartix — has delivered real-time vehicle-tracking and telematics solutions for over 17 years. To learn how Quartix can help you better serve your business, your employees, and your customers, visit quartix.com or call 312-800-9883.